For newcomers or current residents in Tokyo, where people are known to sometimes come off as cold and distant, attempting to chat up a complete stranger on the street or in a bar can make even the biggest social butterfly feel shy. Kurosawa found a solution when he discovered Tokyo Pub Crawl, a mass bar-hopping event held three to five times a month in Roppongi and attended by Japanese and foreign drinkers alike. They’re recognizable on the streets of Roppongi on a Saturday night, a long stream of revelers led by a staff member holding a large sign and yelling out instructions — and followed by curious looks. 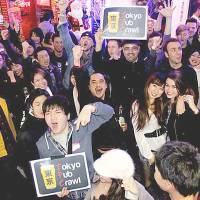 With events that bring in up to 150 people and arrangements with at least 20 bars and nightclubs in the Roppongi area for discounted drinks, Tokyo Pub Crawl is, without question, the biggest bar hop — and a great way to familiarize yourself with the nightlife in Tokyo. To break through the initial awkwardness of meeting lots of people for the first time, organizers start each event with a speech and a free shot of tequila. Organizers encourage attendees to talk to each other and make friends by dividing them into teams and giving them activities to join in with, such as a limbo contest or a scavenger hunt. Free drink prizes throughout the night serve as motivation and ensure that everyone present gets drunk as they move from bar to bar, including places such as Propaganda and Backdoor. The event ends at a nightclub, where people have the option of catching the last train home or staying behind to spend the rest of the night dancing and drinking. Tokyo Pub Crawl has grown from a small event to an actual business that keeps people coming back — and plans to expand, with pub crawl events in other areas of Tokyo. 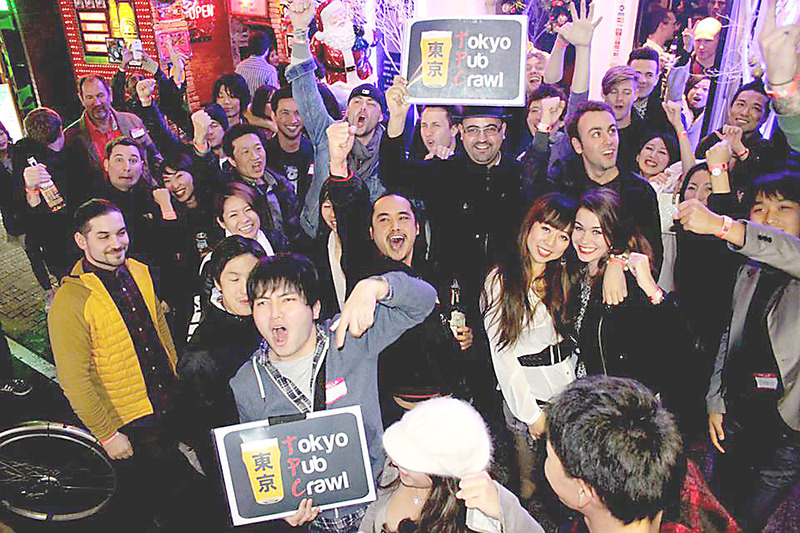 For others, Tokyo Pub Crawl is a place where anyone can feel as if they belong and be themselves. “I know now where to spend time, have fun, make friends and, better yet, find a group I can call family,” says Kurosawa. Angela Erika Kubo is a freelance writer and bar lover based in Tokyo. Follow her on Twitter @aekubo.